Bentonite is a naturally occuring aluminium silicate clay which can take up several times its own weight of water to form a highly thixotropic colloidal suspension or gel. The gel structure is derived from the hydrogen bonds which develop between the clay particles (or platelets). These bonds readily break down with shear, reforming again if the shear force is removed. 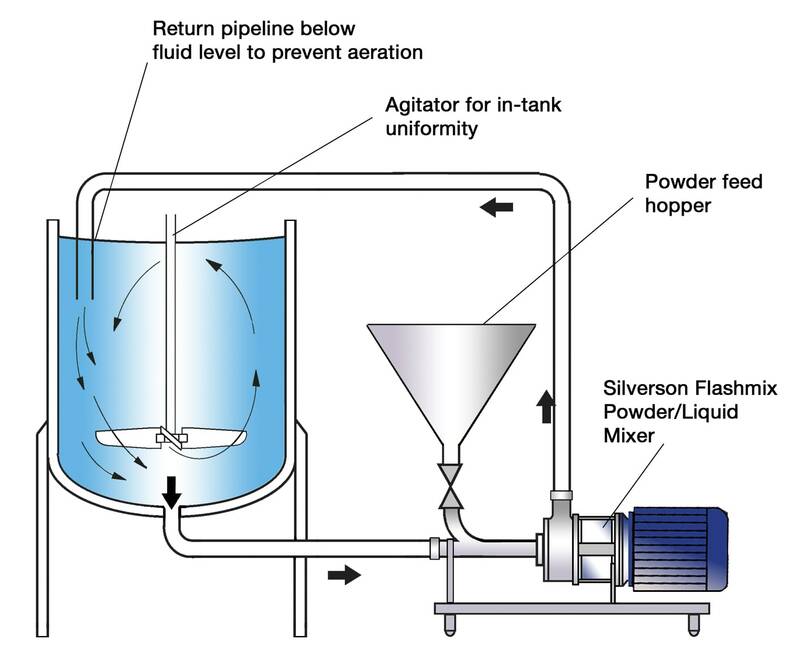 Long mixing cycles are required to obtain uniform dispersion and to complete hydration. Additional equipment such as colloid mills may be required to obtain the required particle size. 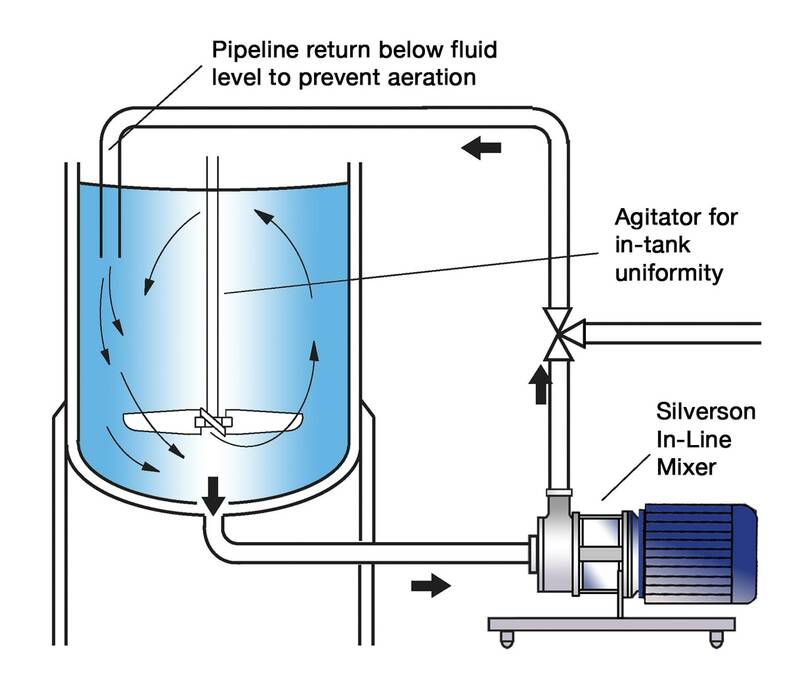 The vessel is charged with water and the Silverson mixer is started, creating vigorous in-tank agitation. The bentonite is added and rapidly dispersed into the water. The high speed rotation of the rotor creates a powerful suction which draws the water and clay up from the base of the vessel into the workhead. Centrifugal force drives the water and bentonite particles towards the periphery of the workhead. The particles are deagglomerated in the gap between the rotor and stator before being forced out through the stator and projected back into the mix at great velocity. Fresh material is simultaneously drawn into the workhead. 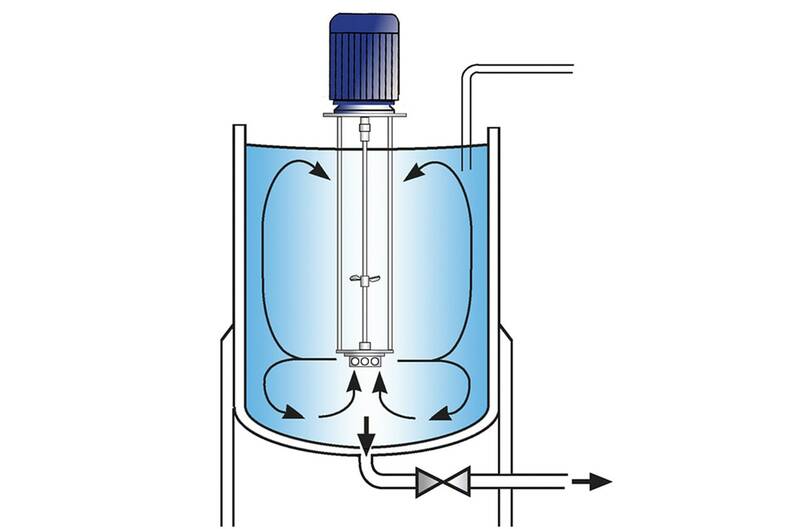 This creates a circulatory mixing pattern which ensures that the entire contents of the vessel passes through the workhead many times in a short mixing cycle, progressively breaking down the powder and exposing a greater surface area to the surrounding liquid, accelerating the hydration process. Rapid dispersion of the powder. It is more energy efficient and economical. The shorter processing time required to form a stable suspension reduces wear and therefore maintenance and spare part costs.